Thanks to our buddy Robert Burns from Sound Off, Louisiana!, who actually enjoys going to the Baton Rouge Press Club every Monday and covering the happenings there, we’ve got lots of video from yesterday’s appearance by two of the lead organizers of the St. George movement presenting the case for the incorporation of the new city in the southern part of East Baton Rouge Parish. 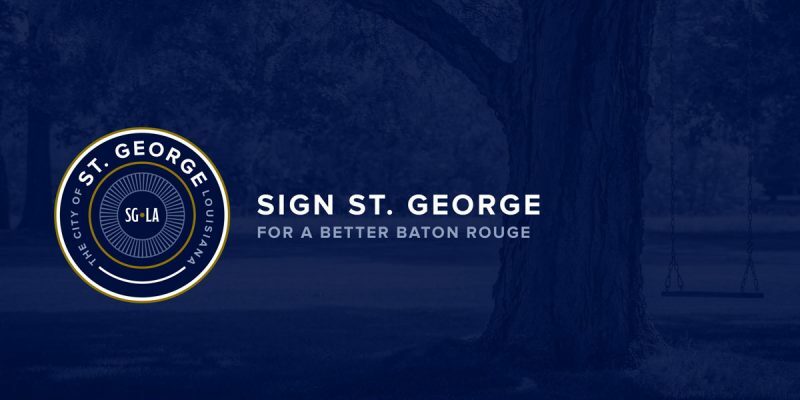 The presentation is pretty thorough and makes a heck of a good case for the East Baton Rouge city-parish government as a sewer of inefficiency and corruption waiting to be flushed into bankruptcy. The analysis of the Library Control Board’s finances alone is enough to indict the city-parish as a massive waster of taxpayer dollars. It’s fairly obvious St. George doesn’t have a high bar to clear with respect to running a more efficient operation where it comes to city services. Of course, a new school district in St. George is years and years away. The petition has to be turned in with the requisite 13,000-odd signatures, then the inevitable dilatory lawsuits have to be disposed of, then the incorporation has to be passed at the ballot box, then a bill must be brought at the Legislature creating the school district and hooking it up to the state’s Minimum Foundation Program, and then a school board must be created and a management team hired. It’s going to take a long while to get all of that done. It was a pretty impressive showing, and it’s clear St. George is much further along than it was three years ago when the first incorporation effort took off. What’s also clear, though, is for a lot of the local media represented at the Press Club, this stuff is way, way over their heads.